If you want to gain more engagement and better visibility, you should be using top Instagram hashtags. Hashtags have become increasingly popular on Instagram. The platform encourages large-scale hashtag usage, with many companies and brands using hashtags for special campaigns and branded content. Although Instagram has seen the largest uptake of hashtag usage, the use of hyperlinked hashtag first began on Twitter in 2007. Nate Ridder, a web developer and resident of San Diego, California, tweeted about the wildfire in his local area and tagged his tweets with #sandiegoonfire. In 2009, Twitter picked it up and officially incorporated the feature into the platform as clickable links that shows users all content that carries the corresponding hashtag. Not long after that, other social media platforms like Facebook and YouTube followed suit. Instagram then officially introduced hashtags for users and brands in 2011. But unlike Twitter’s recommended hashtag use of up to only two to three, Instagram users can incorporate many more hashtags. Instagram is one of the largest and fastest growing social media platforms on the web, boasting over 800 million monthly active users worldwide. 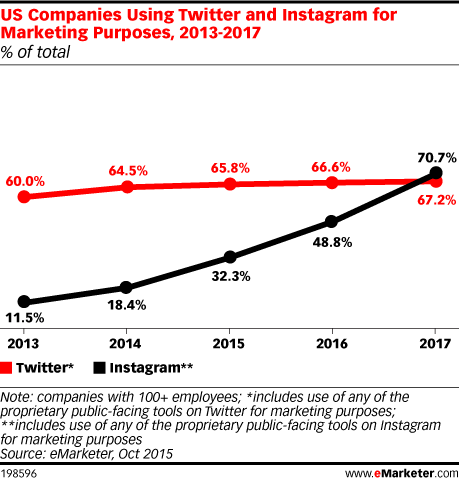 From startups to large multinational corporations, more businesses are adopting Instagram into their social media outreach and content marketing strategies. A study in 2016 found that 48.8% of businesses use Instagram, where the figure doubled for the following year. With millions of new photographs and videos uploaded daily, hashtags are an ingenious way of sorting out and indexing mass content by channeling them to specific search terms. By adding relevant hashtags, you increase the likelihood of people you are targeting to see and engage with your content. It is an incredibly cost-efficient way of expanding content and campaign reach for brands. A hashtag is marked with the hash symbol (#). It can be a single word or conjoined words made of letters and numbers, but not symbols or special characters. Once a hashtag is formed, it automatically becomes hyperlinked. Hashtags assist Instagram to sort, organize and categorize content. So, when a user clicks on the hashtag, it will show all content that carries the corresponding hashtag. It is a great way for content creators and brands to get to expand their content reach while also helping users find content that they are interested in. Note: Your account needs to be set to public for your content to be visible in the pool of corresponding hashtags. Instagram limits the use of no more than 30 hashtags per post (i.e., in the post caption box). The limitation is placed to ensure that hashtags are not abused by potential spammers. It also helps Instagram to show users more relevant content based on the hashtags that they are tagged with. As of 2017, Instagram has allowed users to follow hashtags. Like your favorite influencers or celebrities on Instagram, you can now choose to follow hashtags based on content that you enjoy. How can Instagram hashtags be used? Instagram hashtags can be used by casual, individual users to add their photo or video to a hashtag to get more engaged viewers, participate in a viral hashtag, or merely to be part of a community. Meanwhile, businesses and brands can use hashtags for specific or seasonal campaigns. By creating unique hashtags that are identifiable to a particular project or idea, brands can build communities of loyal consumers while tracking the campaign’s engagement performance (via user participation by using the brand’s designated hashtag) on Instagram. Hashtags can be powerful tools to gain more likes and followers. 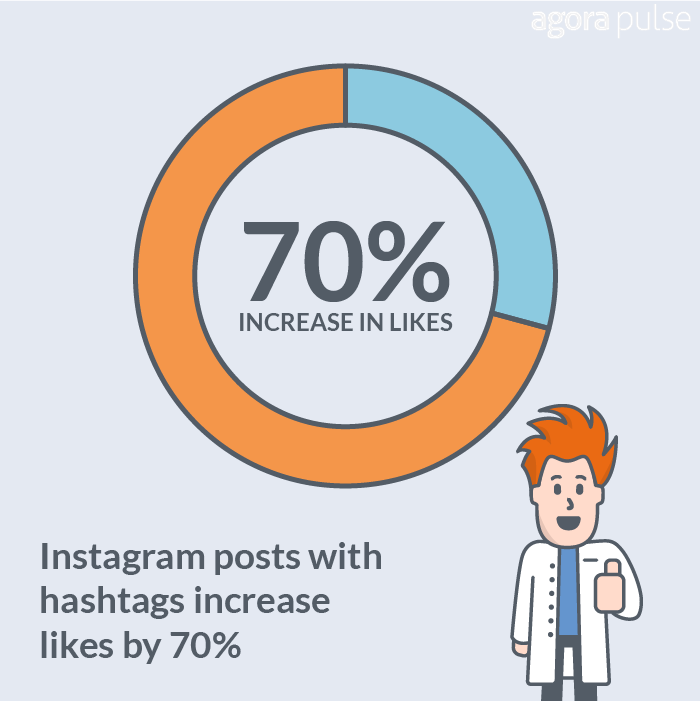 According to a study by Agorapulse, Instagram posts that has hashtags receive over 70% more likes than those without hashtags. 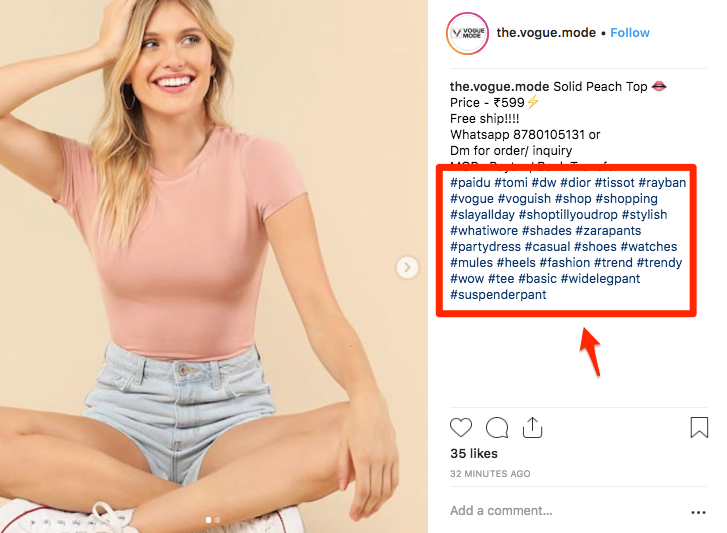 Increasing Engagement (Likes, Comments, Saves, Profile Clicks): Categorizing your content based on specific hashtags will increase the probability that it will be found by Instagram users who are interested in your type of subject matter. The more reach your content gets, the higher the likelihood that your page will receive more engaged users. Getting More Followers: Hashtags on Instagram is an organic method of targeting a potential audience based on interest. It’s just like running an ad, except you don’t pay a single dollar for it. If your content becomes discoverable, other users who will like your content might stumble upon your account, and proceed to follow. Who wouldn’t want to get more likes and followers? By using hashtags, you get to do it at zero cost and without needing to create and manage ad campaigns to maximize reach for your content. The new feature of following hashtags has created yet another avenue to increase engagement for content that incorporates hashtags. And this is good news to content creators, brands, and Instagram users as a whole. Instagram has grown at an incredible pace over the past few years. There are more content published on the platform every day, but there are also many more active users every month. And there is no better time to use hashtags in your posts and campaigns than right now. Leveraging on popular trends is a great way to get free organic reach. And there is no better way than to ride the wave of top Instagram hashtags. Some hashtags are constant favorites, while others are seasonal by nature. Many businesses create niche hashtags to develop interest, and to group together posts relating to a specific product or campaign. And some have done very well, becoming part of the most successful hashtag campaigns of all time. 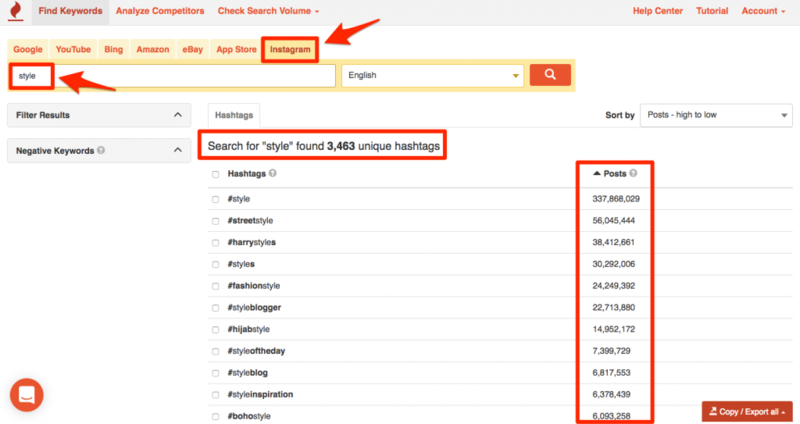 How to find the top Instagram hashtags for 2019 (and beyond)? There are many websites that show a list of hashtags with the most number of corresponding posts. Another way is to manually search on Instagram and pick the hashtags you want to use. Alternatively, you can use Keyword Tool for Instagram. The tool allows you to search for terms or hashtags and gives you a list of similar hashtags, showing you the total number of posts that are tagged with each hashtag. To find high-volume hashtags, just key in a search term that is related to your content, subject matter, or industry. From the results, pick the most relevant hashtags and insert them in your Instagram post caption box. Using the top Instagram hashtags for 2018 increases potential of your work to be found, but you still need great content. Users will be less likely to engage in your content if it is inferior in quality. Instagram is a crowded place and consumers have lesser attention spans than they ever had before. Make sure you focus on creating quality content, first and foremost, to attract authentic follows and engagement. Then, you can select which top Instagram hashtags to use to boost the reach of your content.